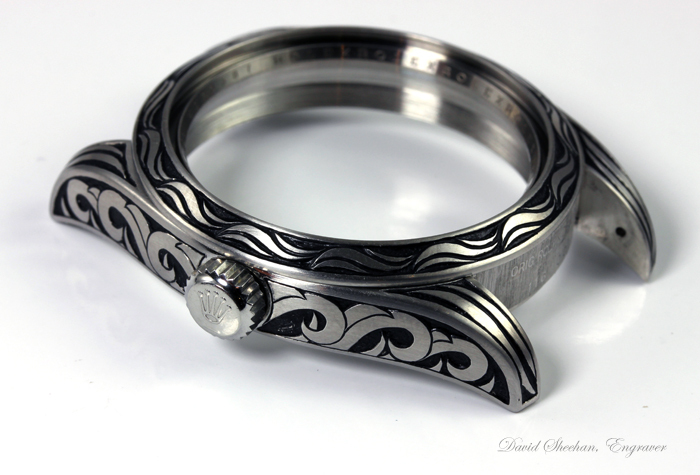 I had the pleasure of hand engraving this Rolex Milguass for a customer in New York who requested a very interesting theme. He asked for wave patterns that would remind him of his home near the sea as a boy. He also chose some of his favorite Hebrew verses and symbols. Laying out the Hebrew text was fun and challenging! Laying out the text on each link from right to left and fitting each verse onto the small links was stimulating for me to say the least! 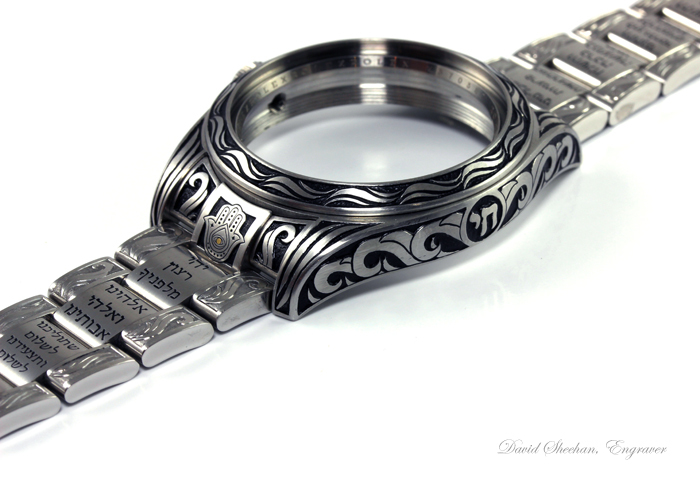 Learning and hand engraving the various Jewish symbols including the Hamsa was really cool. 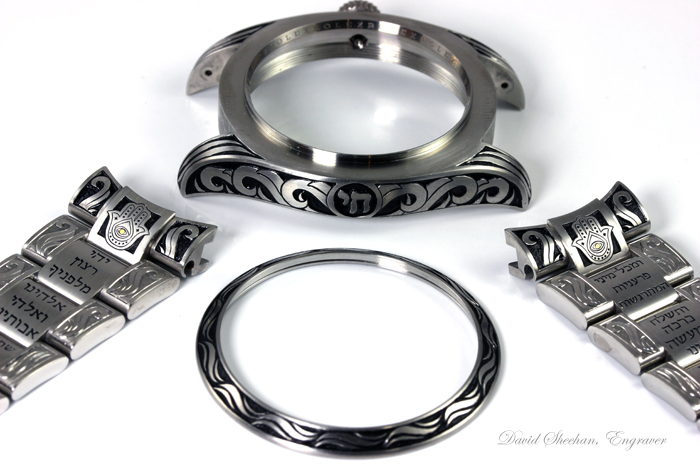 The hand engraving on this Rolex stainless steel watch is done in deep relief fashion and took well over 100 hours. 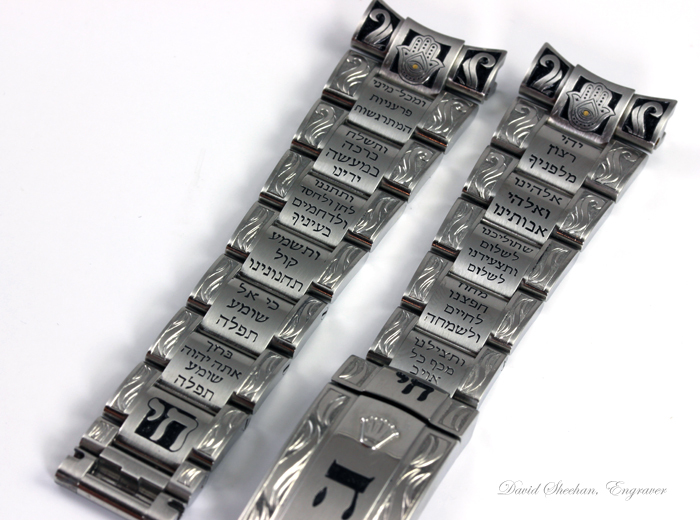 Adding Hebrew Rolex Engraving to my repertoire was well worth the effort.